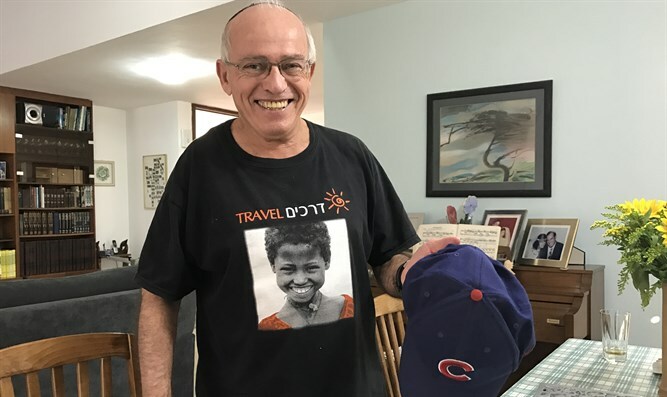 The Chicago Cubs are facing the Cleveland Indians in a historic World Series, and American Jews in Judea and Samaria care. KARNEI SHOMRON (JTA) -- The Chicago Cubs are facing the Cleveland Indians in a historic World Series, and most of Israel could not care less. This Jewish community is different. Neve Aliza was originally part of a separate community called Ginot Shomron that was founded by American and Canadian families in 1985. The leafy suburban-looking neighborhood merged into the municipality of Karnei Shomron, located near Kfar Saba in the Samaria region, in 1991. Karnei Shomron, home to about 7,000 Jews, is among about 120 communities recognized by the Israeli government, in contrast with about 100 unauthorized outposts. But most of the world does not make such distinctions and considers all Israeli "settlements" illegal under international law. Some 60,000 American Jews live in communities in Judea and Samaria, where they account for 15 percent of the "settler" population, according to a forthcoming book by Oxford University historian Sara Hirschhorn. Even as Americans "settlers" have become part of Israeli society, they have retained some of their American heritage, she said. "Americans do not abandon their history, culture and values in moving to the "occupied territories" to create a city on a hilltop, whether that be a baseball mound or a settlement," she told JTA in a nod to her book, "City on a Hilltop: American Jews and the Israeli Settler Movement." The couple settled in Neve Aliza with their four children in 1993. Three years earlier they had left their spacious house in Cleveland for a trailer in a Judea and Samaria immigration center. “Our attitude was that making aliyah was a huge sacrifice. We left our family. We left our culture. We left everything we knew," she told JTA. "We didn’t have to be 100 percent Israeli, but we were proud our children were 100 percent Israeli." Neve Aliza, which they moved to in 1997, offered the appealing prospect of helping to start a new community on undeveloped land. Rich said he was not motivated by an ideological desire to settle the "Land of Israel," but believed the Judea and Samaria communities gave Israel more strategic depth.